My husband and I have been doing the 21 Day Fix Diet from Beachbody. In the first week, he lost 6.5 pounds and I lost 3 which is petty impressive! What I love about this diet is that you can pretty much eat what you want (within healthy limits) and it simply aims to teach you portion control though the use of color coded containers. It also has an associated DVD exercise program that we are not particularly following since I run almost daily and my husband wanted to use the treadmill or bike to baby a knee injury. I’ve been photographing all of our meals so far, so I’ll write them all up with recipes. 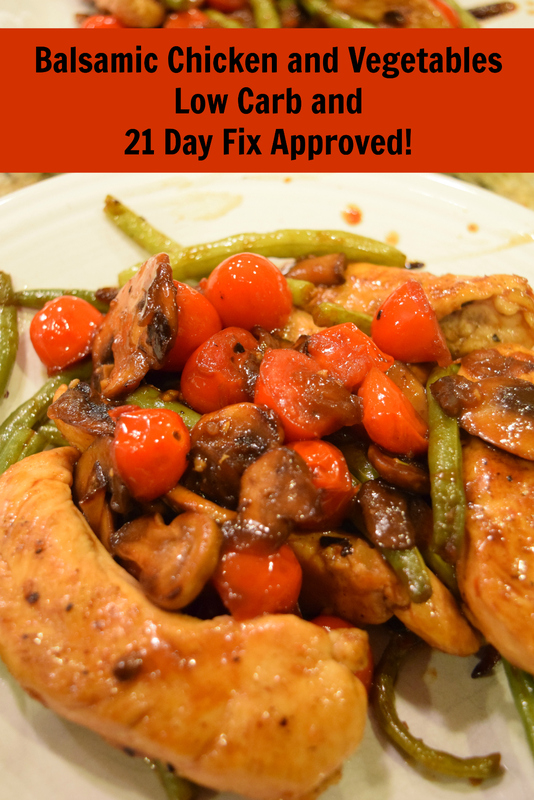 I figure I looked all over for 21 Day fix recipes before we started and appreciated blog posts on them, especially when I found one site with a bunch of recipes. So I’ll do my best to reciprocate! This recipe is one that I saw from one of those Tip Hero videos on Facebook and then I altered it slightly. I love it because it is generally carb free (It has a small amount of Honey, which 21 Day Fix counts as a teaspoon), and it tastes super good! This recipe makes about 3-4 servings. 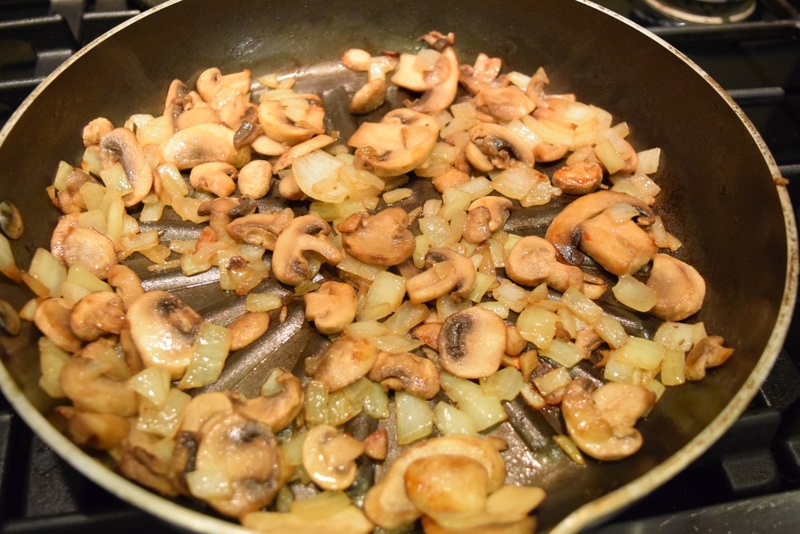 Start out by browning 8 ounces of mushrooms and half of a chopped onion in a bit of olive oil in a skillet until the mushrooms start to brown. 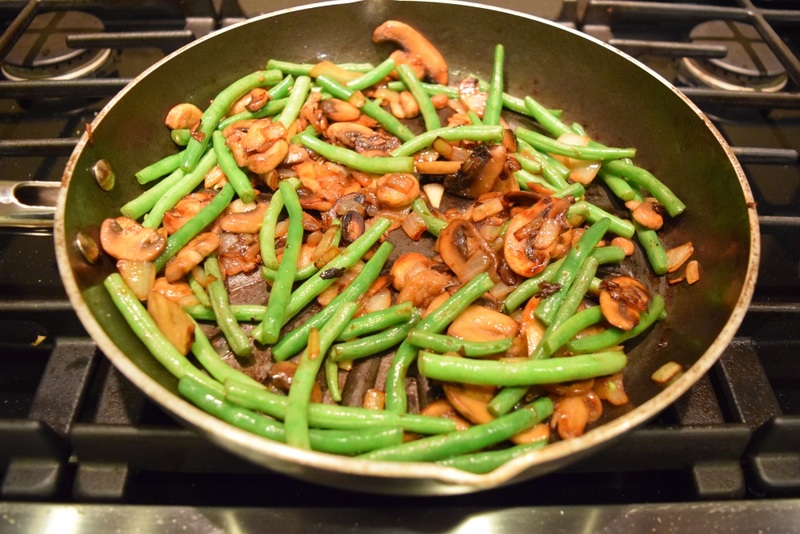 Next, add about 12 ounces of green beans and saute until the beans start to soften and the mushrooms get nicely browned. 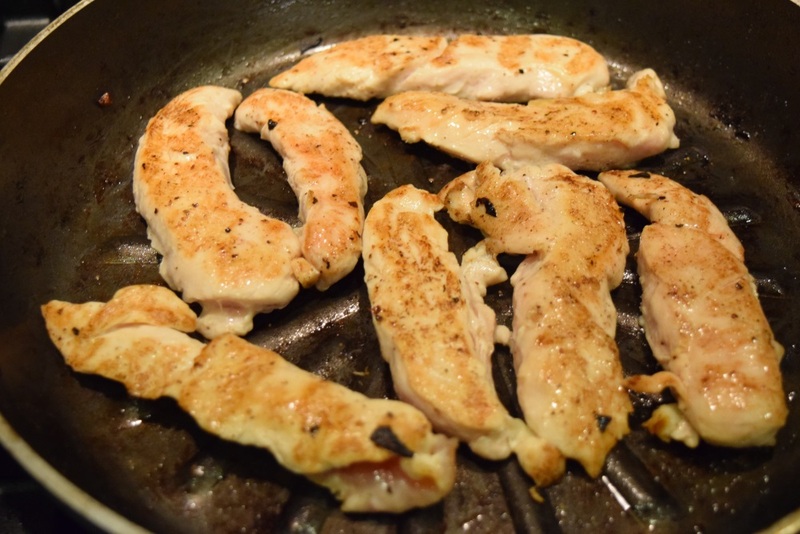 Remove the beans and mushroom mixture to a bowl and brown 1 and 1/4 pound of chicken tenders in the pan. Salt and pepper each side of them and cook until fully cooked through. 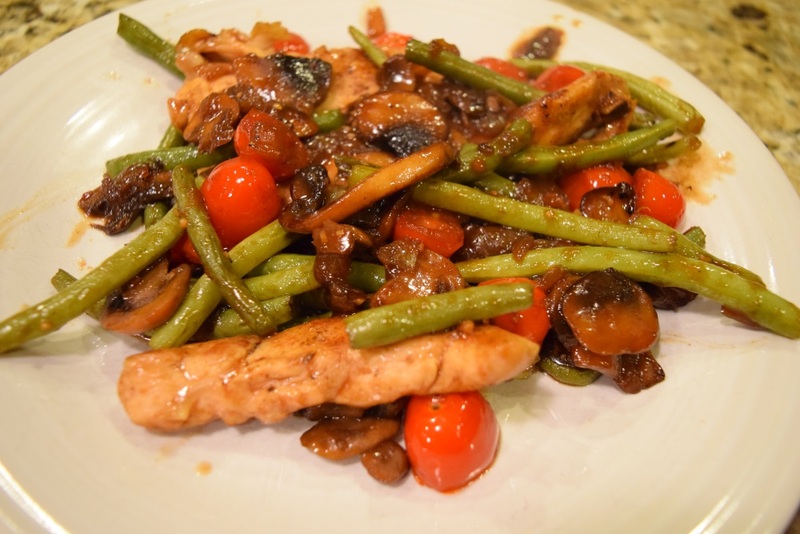 Remove the chicken (I just tossed it into the bowl with the veggies) and add 1/4 cup Italian Dressing, 2 Tablespoons Honey, and 3 Tablespoons Balsamic Vinegar. Stir it all up, and add back in the chicken and veggies. Simmer until everything is heated through and the beans are the tenderness that you desire. Mine stayed quite firm, so if you like really soft green beans, you may want to precook them slightly, or you could substitute canned beans. At the end, add in 1/4 cup cherry tomatoes, stir, and serve! 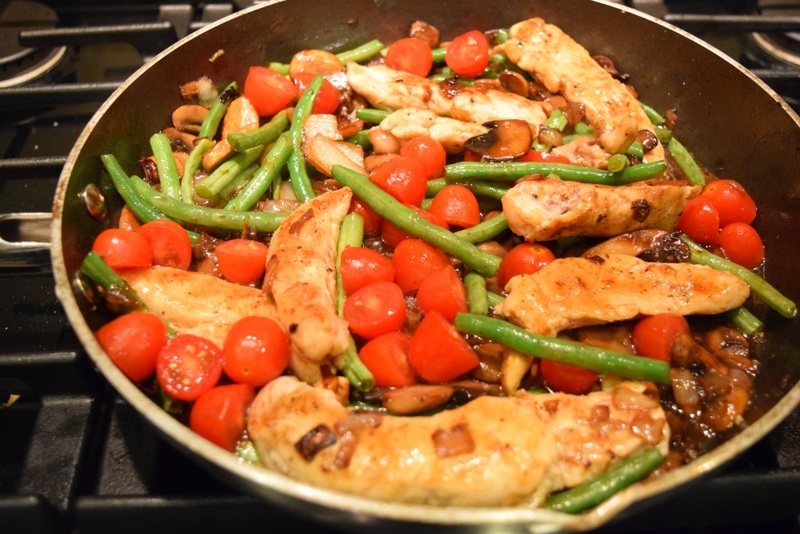 This was a very tasty and super easy to make dinner that took less than 30 minutes to cook. I calculated each serving as 1 red, 1 and 1/2 green (jsut one if you don’t go nuts on how many veggies you take), one blue, and teaspoon.